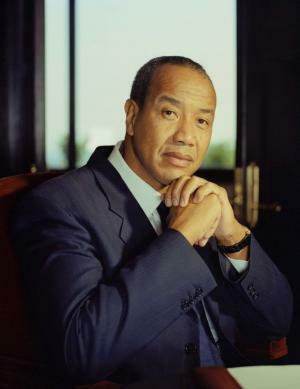 Michael Lee-Chin was born in 1951, in Port Antonio, Jamaica, an is a businessman, investor and philanthropist as well, currently serving as the Chairman of National Commercial Bank of Jamaica, holding the position since 2014. His career has been active since the ‘70s. Have you ever wondered how rich Michael Lee-Chin is, as of late 2016? According to authoritative sources, it has been estimated that Michael`s net worth is as high as $1 billion, an amount earned through his successful career as a businessman. Apart from chairing the National Bank of Jamaica, Michael has invested in and owned various companies, including Columbus Communications, Eastern Caribbean Gas Pipeline Company and AIC Limited, among others. Michael is of mixed heritage; both of his parents are black and Chinese Jamaican. They divorced when Michael was seven, and his mother remarried to Vincent Chen. Michael went to Titchfield High School, and matriculated in 1969. He had to start working from his teen years to support himself, and had several odd jobs before he moved to Canada on a scholarship program organized by Jamaican government, and enrolled at McMaster University. He obtained a degree in Civil Engineering, but it was a couple of years before he was hired, as financial adviser for Investors Group. For the next two years he held the position, working in Hamilton, Ontario, but then was transferred to Regal Capital Planners where he became regional manager. He continued to work his way up, and in 1983 he changed his life for good; he got the loan from the Continental Bank of Canada worth C$500,000 which he used to buy a stake in the Mackenzie Financial Group, and jointly with Andrew Gayle started the Kicks Athletics. His net worth was certainly rising. Four years later, his stake at Mackenzie was worth C$3.5 million, and for $200,000 he bought Advantage Investment Council, shortened the name to AIC, and through 2006 expanded the company to a C$6 billion-worth fund, with numerous investors. That year, he stepped down from the CEO position, and in 2009 sold the company to Manulife, and although the amount wasn`t disclosed to the public, it certainly increased Michael`s net worth by a large margin. Although he sold the company, Michael has remained active as an investor, and has chaired companies in different business aspects, including media, telecommunications, health care and tourism, among other fields, all of which increased his net worth to a large degree. Michael received several prestigious honors and awards, including naming as one of the richest people in Canada, and one of the richest Jamaicans, by the Canadian Business. Regarding his personal life, Michael was married to Vera Lee-Chin from 1974 until 1991, but they officially separated in 1997. Vera and Michael are parents to three children. At the moment, Michael is in a relationship with Sonya Hamilton, and they have twin daughters, and reside near Hamilton, Ontario. Michael is also a well-known philanthropist; having amassed such wealth, he has made numerous donations, including to Royal Ontario Museum worth $30 million, and $10 million to Rotman School of Management at the University of Toronto, which in honor of his donations established the Michael Lee-Chin Family Institute for Corporate Citizenship. Michael also gave $10 million to Joseph Brant Hospital Foundation, among many others.